Five years ago American Express started promoting a new concept: Small Business Saturday. The idea is simple: consumers are asked to spend their holiday shopping dollars locally at small businesses, and American Express provides incentives to those shoppers. In just those five years, the concept of shopping locally the day after Black Friday has become a holiday tradition. 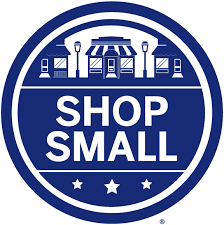 So how can your small business make this the best Small Business Saturday ever? American Express offers a toolkit for small businesses. This handy kit provides images and signage options for bags and posters and point of sale. It also has links to Eventbrite to create store events to send to your email list. And there are offers of free poster printing and free online ads. But what is missing is the piece that will get all those shoppers to want to get on your radar so they come back for more: the sweepstakes. A sweepstakes can be used to generate more emails or phone numbers for your list, or help you gain social followers, so that you can alert them in the future about sales and offers and events in your store. Decide what the most important objective of the sweepstakes is and build your idea around that. The more complicated you make it (i.e. Give us your name and address and twitter handle and mobile number and name of your dog…. ), the less likely people will be to enter. If it’s important that you get mobile phone numbers because you text specials to customers, then use texting as your method of entry. If you need to build an email list, have people give you that. If you need more Pinterest followers, run a Pinterest promo. Get the idea? We recommend if you want email or phone numbers that you collect only name, phone and email in stores on sign-up sheets or entry forms. Ask for address only if you plan to do mailers. If you are going social, ask for people to follow you on the social channel of choice and ask customers to post something to the channel using a unique hashtag. Use these 5 social media best practices as a guide. Keep prizes under legal limits. Make sure you have a way to track entries and contact winners. No matter what you select as a method of entry, make sure you can keep track of entries and contact winners. Seems simple enough, but we have seen many businesses not realize they may not be able to track hashtags on Twitter or Facebook or Instagram without some help. Or they forget to ask for a phone number when the prize needs to be awarded the same day (remember not everyone checks email on weekends). Here is where the legal guy in the suit appears and says, “Not so fast. Are you sure that it is legal for you to run this sweepstakes?” And if you are well prepared you can say, “Yes. I have Official Rules right here.” Don’t let suit guy scare you. Rules are simply a legal document that outlines the way the sweepstakes will run, how to enter, who is eligible, dates and times, etc. A set of legally compliant official rules for a simple sweepstakes is not cost prohibitive, and it will keep you out of any trouble in case you are ever questioned about how the sweepstakes was run. Contact us and we can get you a set of full rules in time for the big day. A sweepstakes can turn a one-time customer at Small Business Saturday into a loyal follower. This is the year to run one! If you have any questions or need help, let us know.